It is that time of year again. The free summer reading programs are starting up so we updated our post from last year. We can’t wait to get signed up. These programs can be a lot of fun for kids to participate in. Find new books, enjoy a few activities and get some reading in over summer. Since we focus on boys’ learning here at Brain Power Boy, I picked high-quality programs that I thought boys would enjoy. All kids can participate in these programs. If you are looking for some books for summer reading, try our best books for boys reading lists. You are sure to find some great books. We are huge readers in our family. We have participated in some of these programs and always make sure to get to the library – a lot! Last year was especially hot here and I was glad to have stacks of books to look at, read, and learn from when it was just too hot for us to be outside. NOTE: I highlighted high quality free summer reading programs. There are other ones out there but I didn’t think they were good enough to include on the list. Either they required a purchase in order to redeem your coupon or they were, well . . . lame, making kids do a lot of reading for a sticker or a tattoo. Check into some of these summer reading programs. You can get some neat prizes. Barnes and Noble is the place to go for our favorite summer reading program. It is easy to do and they give the kids a brand new book. They can pick from a pre-determined list of titles which are usually very good. Log your books on the printable form and bring it into any B&N for a free book. Go early for the best selection. Grades 1 – 6 only. If there is a TD Bank in your area your child can score 10 bucks. If your son (or daughter) reads 10 books, he can receive $10.00 in a new or existing Young Saver Acct. For kids in K-5th grade. Starts in June and goes through August 31. If the website is still showing 2016, reach out to your local bank or wait until after June 1st to check back. Half-Price Books has a free summer reading program each year. Every year they change the guidelines so be sure to check the rules. This year kids 14 and under read 15 minutes a day in June and July. Once they read 300 minutes they can turn in their log at a Half-Price Books Store to earn HPB Bookworm Bucks. New this year is a program for teens. It is limited to specific titles (which I don’t really like.) They have to read those titles and write a short review of the book to earn Bookworm Bucks. No indication in either program as to how much you will earn or exactly what you can use it on but Half Price books has good deals so I think it is worth trying. Book It! from Pizza Hut has revamped their summer reading program again (and again this year.) The prize is usually a personal pan pizza. If you have a school-age child, they will need to sign up through their school. 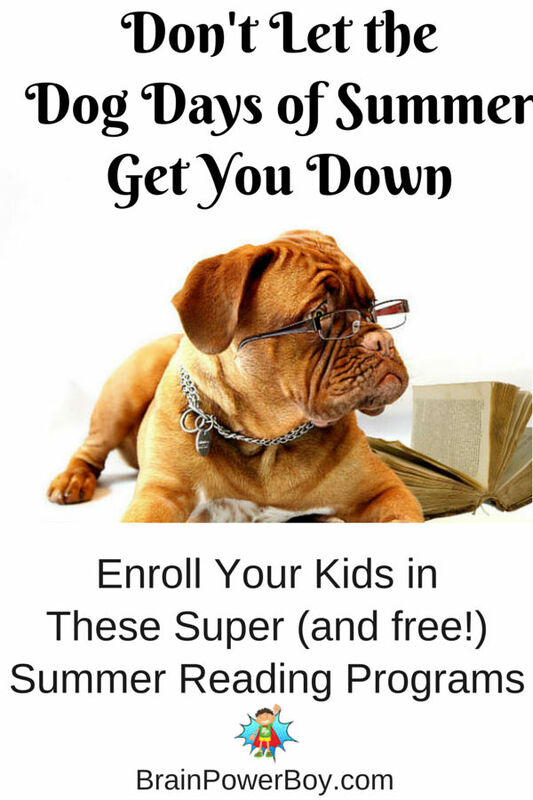 Homeschool parents can sign up here. Another great place to go for free summer reading programs is your local library. We have moved and are looking foward to trying out a new summer reading program this year. As you likely know, libraries have a lot of activities, cool prizes for the kids, and sometimes they even give away free books. I am not really fond of rewards for reading, as reading is its own reward. If you have a boy who wants to take part in summer reading programs, and you think he will enjoy them, it is a fun way to get a new book, a bit of cash, or a possible prize. Since we are always reading we take advantage of the freebies. Don’t forget to sign up for adult reading programs and/or family reading programs at your local library if they offer them. The best way to encourage kids to read is if they see you reading and know that you value it. Did I miss a program that you love? Let me know in the comments below and I will check it out. Hi Shelia. You mentioned on Facebook that we could chime in with our favorite reading program. My favorite is the one I am running free on my blog at edsnapshots.com. We aren’t giving out the rewards — the parents decide how to do those — but we do have some fun downloadable printables, ideas for events and some great book suggestions. One of the things that makes our program unique is that our bingo-style reading passport encourages your reader to try new genres. Would love for you to check it out! Thank you so much for promoting reading during the summer. In addition, thank you for the kind words about library summer reading programming! Heather! Thanks so much for stopping by. It is my pleasure to promote summer reading and to share what a great program out little (but mighty!) library has. You guys do an awesome job! We just signed up for the summer reading program at our local library yesterday. It will be lots of fun! Our libraries start their sign-up this Monday. We are excited 🙂 Thanks for visiting! Wow what a fabulous idea! I don’t think we have anything like this in the UK but now I’m going to double check! Oh, I do hope you have some programs. If not, you could have a chat with your local librarian and a few bookstores to see if you can get some started. Summer reading programs are a lot of fun. I did not know about all these programs. Thanks for the tips & for linking them up at the Thoughtful Spot! Happy to supply the info Laura. Who knew there were so many great reading programs out there for the summer? Well, I guess you did. 🙂 Now I need to see which ones are available in our area. What fun! Yes, well we are big readers and I also love to get things for free lol I hope you find a program near you. Thanks for the ideas. Love your site! Finally ideas that cater to boys (I have 2). Thank you for visiting Amy. Thanks as well for the nice comment 🙂 You made my day! We participate in Barnes and Noble every year because my boys are highly motivated by the free books… but we learned the hard way that in our area you can not wait to turn in your sheets at the end of summer or else there are no books left to choose from. We’ve turned ours in already this year and within one week my boys finished up their new chapter books (and since they all picked a new series to try they have plenty to keep them occupied for a while now!). Other than that we don’t participate much because my boys read all the time anyway and don’t need an incentive program to keep them going. These are some great ones though and I kind of wish we had a few of these around to participate in as well. Barnes and Noble is our favorite too. I did mention turning them in early and you are right – once the books are gone, they are gone. I think it is nice (and fun) to get a brand new book. I’m glad to hear your boys enjoy reading so much 🙂 Thanks for your comment.